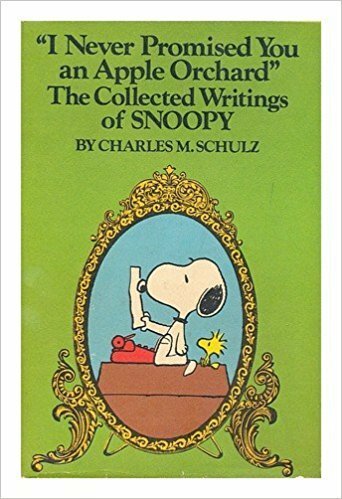 Snoopy pursues his literary career, hoping to defy the dreaded second-novel slump. I Never Promised You an Apple Orchard is a rather hilarious book that I have enjoyed for years. I reread this year when I had a cold and it still gave me a couple of laughs. I enjoy Schulz’s humor a lot and I will probably keep on reading this book for a while. It is a short book and kids and some adults will probably enjoy the humor in this book.